Quite often your webmail account provided with your website hosting might not have the functionality you need to use it for day to day emailing. It’s might be great for accessing your emails when on holidays or away from your computer/office but you wouldn’t want it to be your permanent “inbox”. In Comes Gmail. 15 GB of space to play with and a friendly interface that helps you organise your emails well (learn how to use “labels” instead of folders). If you’re a power user of Outlook it might not cut the mustard but for general day to day use, it does just fine.“But,” I hear you say, “Haven’t you always said not to use free email accounts when you have your own domain name because it doesn’t promote your brand and looks unprofessional?” Yes indeed, you’ve got the message right. You can use Gmail for your email and still send and receive from if you set it up correctly and with a bit of help from Gmail’s Mail Fetcher.Disclaimer: This will not work unless your hosting company provides POP3 email accounts. If your website is hosted by us, Technology Matters, then this comes as standard. Create your Gmail account. Go to http://mail.google.com/mail/signup. Fill in the details for the form presented. When it comes to the recovery email, don’t use the email address that you are planning to use with your Gmail account, otherwise, you’ll never retrieve your password if you need to. Choose the email address that comes with your ISP perhaps or some other account you have access to. Or you can leave it blank. You should be ready to log in to your account at this point. If you are new to Gmail, take note of some of the functions you will come to appreciate that are explained on the welcome page. E.g. Labels instead of folders (sort of the same but better – being able to assign multiple labels to an email helps you to really tightly define what an email is about), archive, built-in chat and video chat, and best of all…Google-powered search! If you’ve ever suffered through Outlook’s painfully slow search function, just let Google power through your emails and sort them into the most relevant for your query. Heaven! Click the “Show me my account” button and you are automatically logged in. Now we are going to set up your account to import any emails that might be sitting around in your webmail inbox and then to have it connect regularly to this account to import mail, and lastly ensure that any emails you send with Gmail come from the “from address” that you have connected to from Gmail.Disclaimer: this article is not designed to teach you how to use Gmail. You will need to find your own way with that. This is purely to help people connect their domain name email accounts to use with Gmail. Click Settings at the top right corner of the page, and open the Accounts and Import tab. Ignore the “import mail” and “send mail as” options right now. Instead in the Check mail using POP3 section, click Add POP3 email account. Enter the full email address of the account you want to access, then click Next Step. Gmail will populate some sample settings, but check with your hosting provider to learn the correct server name and port. As a guide, if you use Outlook, check your username, login and POP3 (incoming) mail server settings (usually under Tools/Accounts depending on the version of Outlook you have) and use these. If Technology Matters is your hosting provider, your username needs to be your full email address (not just the bit before the @). The mail server is often mail.yourdomainname.com.au (as per Google’s example) and the Port number suggested will usually be OK. If this does not work, talk to your hosting provider or web developer for help. The password you enter is not the Gmail password, but the password for that original email account. >Using a Secure Connection (SSL) is a good idea if the host supports it. We suggest you check it. If it is not supported you will get a message when you click <add account> and you’ll need to uncheck the box. >Give incoming messages a label if you wish to. This is useful if you import other accounts into this Gmail (and the labeling helps you identify which accounts they came from), but not so useful if you use it exclusively for the one email account. >If this account is low activity and mainly historic you might want to have incoming emails archived automatically. Otherwise leave it unchecked. Click <add account>. If at this point you get an error message saying there was a problem connecting to the mail server, try un-checking the “Always use a secure connection” box and try again. If you still cannot connect, there is a problem with the account login, password or mailserver details. Check all these and try again. Note: you might need to re-enter your password if you get an error message. Nearly done. Gmail just needs to send a verification email to the account you are wanting to channel through it. Why? Otherwise anyone who knew your email password could get access to your emails and send them “on your behalf” without your knowledge. If the connection to your POP email account is OK, the verification email should soon arrive in your Gmail account. Find that verification email. Click on the link or copy and paste the code into the box provided. If the verification email is late arriving, you can verify it later. You only need it to send emails with your own domain name, you can still receive emails into Gmail without it. One last step. Once you have “verified”, go into “Settings” again. Select the “Accounts and Import” tab and in the “Send Mail As” section, click on the “make default” link next to the email address you have just set up. If you miss this step you will still be sending email from your Gmail address which is not the point of this whole exercise. You are good to go. You will still need to login to Gmail using your Gmail email and password that you set up originally, but any emails you send will be labelled as your domain name email. You might like to bookmark your Gmail login page for easy access (or just enter Gmail into Google search). Gmail will now be checking your POP3 account every 2 or 3 minutes and moving the emails into Gmail for you. Note: If you have a lot of emails stored under webmail and they were sorted into folders, Gmail will not import the emails that are in folders until they are moved into the main body of the inbox. You might like to do this in batches so you can label the incoming emails appropriately. If you are having any problems getting the “send” address to work as it should, have a look at this help page from Google. I'm adding these details for anybody that may want them, but also as a reminder for myself, as finding this details on the one.com website is impossible and support is generally slow. Cancel your web space via the One.com chat/mail support. Request a TAG from the new provider. Fill out the form and send back a manually signed copy (scanned or photographed) as an attachment to . 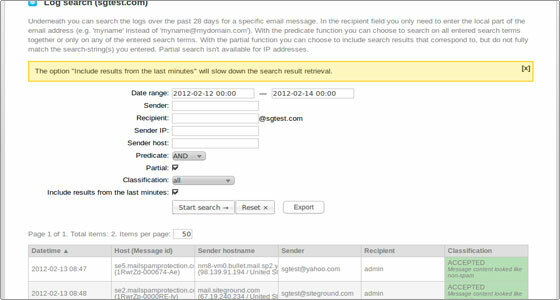 In this subsection the user can search the logs for a specific incoming e-mail message based on different criteria like the name, the host and the IP of the sender, the name of the recipient, a chosen data range and more. In the Spam quarantine area all the suspicious messages associated with the current domain are stored. 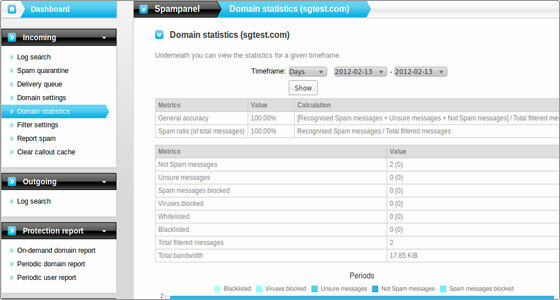 It contains the messages that are permanently blocked by the anti-spam system. 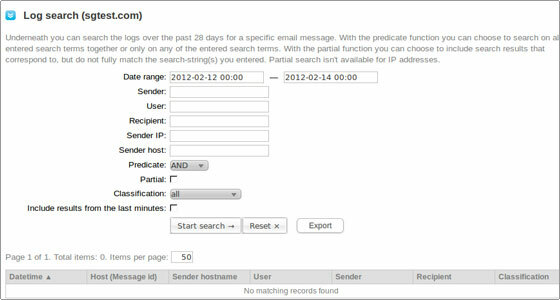 The messages' search is based on the Subject, Sender or Recipient values. The messages can be deleted or released. If they are released they will appear in the recipient's mail box. The cluster will be trained automatically which messages are legitimate and will release similar ones in the future. The suspicious messages that are temporary rejected are not included in the quarantine system. Their delivery will be automatically retried by the sending servers. Here the client can find a list with the messages in the delivery queue associated with the corresponding e-mail accounts. The client can see the reason for the messages to stay in the queue and can try to manually force their delivery. 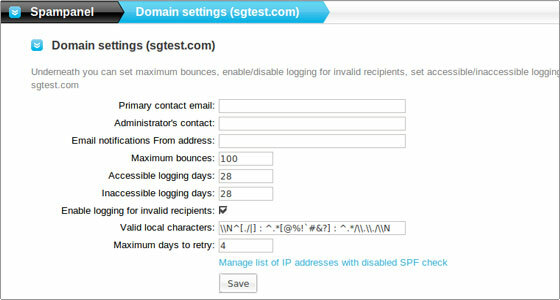 Here the clients can define the maximum number of bounces per the domain, turn on and off the logging for invalid recipients, define contact details for the domain and set the accessible and inaccessible logging days. This function lists statistics for the domain for a chosen time frame. 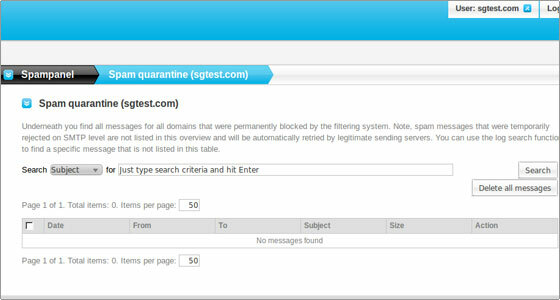 The filter settings allow to enable or disable the mail quarantine. If disabled the messages recognized as suspicious will not be kept on the mail cluster but will be delivered in the mail accounts. You can also add an unsure notation to the suspicious messages. Quarantine and tag thresholds for the notations can be adjusted. The SPF and the maximum line length checks can be skipped. This section allows to train the spam filter by uploading .eml format files that contain spam. 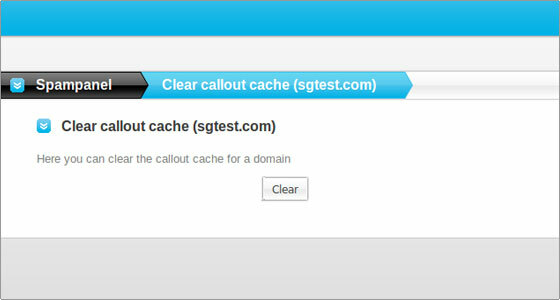 The information regarding the existing and non-existing recipient e-mail addresses is stored in the callout cache for up to two hours. It can be manually cleared through this web interface. This subsection allows to search the logs for a specific outgoing e-mail message based on different criteria like the sender, user, recipient, the sender IP, the sender host, a chosen data range and more. The on-demand report functionality allows to generate a report for a defined period of time and send it to a chosen e-mail account as an HTML document or a PDF file. The report will contain data regarding the detected spam messages and viruses and the temporary rejected ones. This option will allow to schedule the sending of protection reports to a chosen recipient daily or weekly. This area allows you do add, edit and delete recipients for the periodic reports. Here more file extensions that should be blocked by the spam filter can be added or existing ones can be removed from the list. The maximum size for the incoming and outgoing messages can be set. The larger e-mails will be rejected. In this area hostnames and e-mail addresses can be whitelisted. 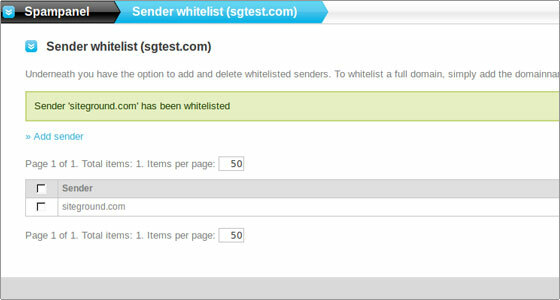 All the messages that come from the whitelisted senders will not be filtered and will be delivered directly. 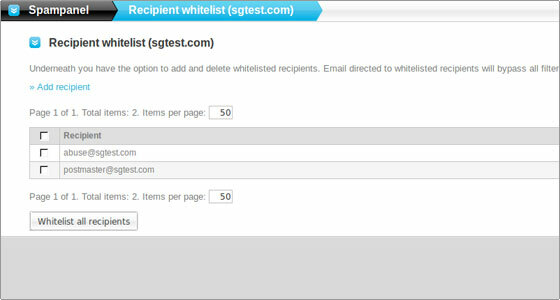 This option allows to whitelist recipients. The corresponding e-mail accounts will receive the messages without being filtered. Here a list with the senders from which the messages should be rejected can be defined. Domains and e-mail accounts can be included. 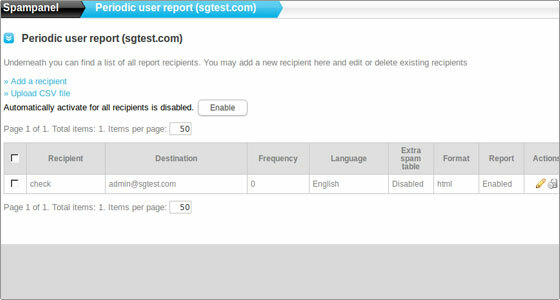 Allows to blacklist recipients' e-mail addresses. 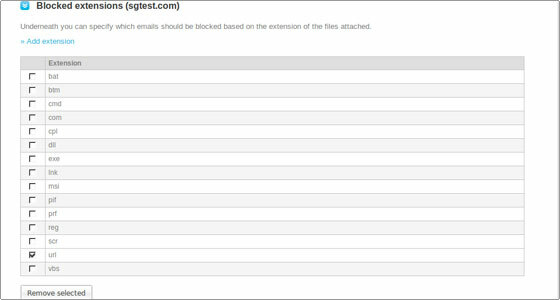 There is also an option to blacklist all the e-mail accounts associated with the corresponding domain. The Internet as we all know it today wouldn’t have existed without the HTTP protocol. It is the heart and soul that pumps content to all of us. It makes it possible for us to read the latest news, order stuff online, watch videos on YouTube and get to our favourite websites on all types of devices - workstations with 27-inch displays, laptops, mobile phones, tablets and even e-readers that offer browsing capabilities. Sadly, that protocol has not been changed since 1999 when version 1.1 was released so, when HTTP/2 was released earlier this year, it was a source of major excitement. Of course, the SiteGround team has immediately started working on it and we are now happy to announce that all our shared and cloud servers support HTTP/2. Why HTTP needed an update? Modern websites/apps make hundreds of HTTP requests and HTTP 1.1 is not well designed for the performance needs of the modern web and the constantly growing requirements of the users. During the last 16 years many new technologies emerged and web developers got really creative in terms of going around and jumping over the limitations of HTTP 1.1. However, it was time for the protocol itself to change and introduce some new features that will speed up all sites on the Internet. Modern websites/apps require the web browsers to make many request to render a web page. In the beginning HTTP/1.0 allowed only one request to be made via a single TCP connection. With HTTP/1.1 this was addressed so browsers can make multiple requests to load many resources simultaneously. Unfortunately, another problem called head-of-line blocking was not resolved. When HTTP/1.1 is used the requests flow is usually the following: the browser sends a request and needs to wait for the response of the server in order to send the next request. Modern websites have over 100 objects and even when browsers use multiple connections this way of handling requests can add up a lot of time because of head-of-line blocking. As you can see from the second diagram when HTTP/2 is used the user sends multiple requests and can receive them in whatever order. Thus, pages load faster. For example, the server needed more time to handle the second request but the delivery of the third object was not blocked. The second big improvement added by HTTP/2 is related to HTTP headers. Clients use headers to inform servers what information is needed and in what format the information could be delivered to them. For example, a web browser usually sends headers to inform the servers that it supports gzip compressed data. Cookies are also communicated via headers and the size of some cookies can get really big. The problem is headers do not change much between requests. Also, with HTTP/1.1 headers have to be provided for every single request, which of course is pointless when headers do not change. Now HTTP/2 not only sends headers per connection, but it also offers compression. This means that an average web page that contains ~80-90 objects can now be loaded much faster because the web browser will need just one round trip to send all of the headers for all of the objects. The third problem which HTTP/2 solves is caused by multiplexing and headers compression. Some objects are more important than others. For example, the CSS objects for a site should be delivered in the beginning, so that the site could be properly displayed. If multiplexing is used you cannot be sure that the CSS will be delivered before the rest of the objects. The designers of the protocol, decided to address this issue in the protocol itself. Clients are able to communicate with the server and indicate priorities for certain objects and this way the web servers can make decisions about which objects should be delivered first to the clients. Since the protocol itself supports prioritization this means that web developers should not worry about changes that need to be made to their apps. The modern web browsers will take care of prioritization and handling of data streams in HTTP/2. All web server implementations support HTTP/2 when it is used over an encrypted connection. This means you need an SSL for your website in order to take advantage of HTTP/2. Is HTTP/2 already in use? HTTP/2 is already alive and you have probably already using it on your end if you’re using a modern browser such as all of the latest versions of Chrome, Firefox, Opera and Edge support HTTP/2. Designed for a personal firend of ours. There Website was redesigned using a similar look and feel to there last website, but using all the latest website & server technologies. Noble HR, have been a valued client of ours for a few years. We recently redesigned there website, using the latest responsive & mobile friendly design techniques. Updated to use all the latest software & server side tech too. New You is a sister company of Dermakurve, another site we have created. Due to their success in the UK, Dermakurve have expanded to Kenya, under the name "New You".